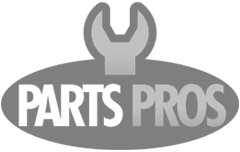 PartsPros.com offers a diverse line of replacement automotive parts not easily sourced from your local auto parts store. Our rapidly-growing catalog offers one of the largest selections of automotive lighting, interior door handles, exterior door handles, and moving window parts available anywhere. We also maintain a large inventory of other tough-to-find products, such as side-view mirrors, intake and exhaust manifolds, engine parts, molded dash covers, carpet kits and more. Our goal is be your one-stop shop for all of your commonly needed, yet hard-to-find parts.